A)	From 1776 to 1912 (136 years), the value of the dollar, relative to the Consumer Price Index, increased by 11%. A dollar could buy 11% more goods in 1912 than in 1776. Thus, if in 1776, you sat on your savings pile of $1,000,000 for 136 years, it would then be worth $1,110,000 in purchasing power (it will have appreciated in value by 11%). A loaf of bread for Thomas Jefferson cost the same as a loaf of bread for Lincoln 50 years later and again the same for J.P. Morgan 50 years after that. B)	The United States Federal Reserve was created in 1913. 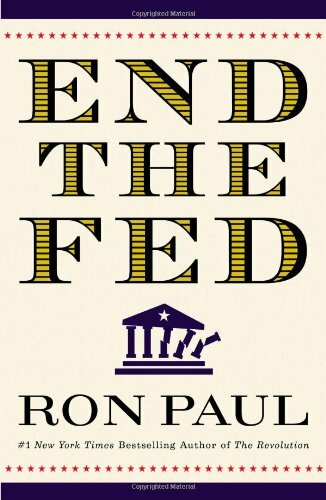 The stated purpose of the Fed, by its own definition taken from its website, is to "conduct the nation’s monetary policy by influencing money and credit conditions in the economy in pursuit of full employment and stable prices." Note that "stable prices" is another way of saying "stable dollar," they are two sides of the same coin (couldn't resist the pun). 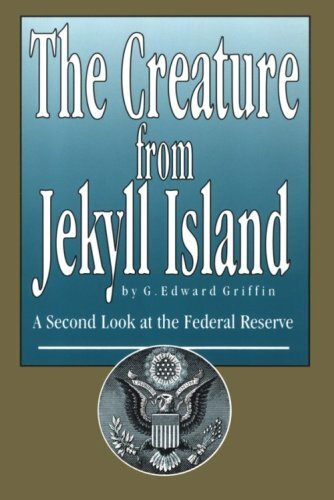 C)	Then after The Fed's creation, from 1913 to 2008 (95 years), the value of the dollar, relative to the Consumer Price Index, decreased by 95%. A dollar could buy 95% fewer goods in 2008 than in 1913. Thus, if in 1913, you sat on your savings pile of $1,000,000 for 95 years, it would then be worth only $50,000 in purchasing power (it will have depreciated in value by 95%). One would now need to pay about 20X more than J.P. Morgan for one's bread. Ask my mother how much the price of milk has increased just in the last ten years alone. In other words, the value of the dollar remained extremely stable for 150 years, then The Fed was created in order to "stabilize the value of the dollar" and the result has been a 95% devaluation of the dollar in less than 100 years following its creation. Below is a graph of this history, which I've marked with the year 1913 so you can see the change. The graph is also marked with the years of decoupling from the gold standard, as no examination of dollar value would be sound without such mention. While we all take inflation as a "given" — as something that "just happens" in the economy — we would do well to remember that this belief is utterly incorrect. Inflation, which is the loss of value in your saved dollars, is caused by The Federal Reserve through its management of the money supply. Next time you see Ben Bernanke on the television, telling you that they "will take the necessary steps" to help the country, consider their track record so far, and their dismal failure at their stated objective — preserving the value of America's money. Outrage doesn't even begin to describe what Americans should feel in response to this. Yet, Americans aren't very upset, and indeed the vast majority has no idea about any of this information. I would wager that this is because Americans are educated in Government schools, which barely teach basic accounting, let alone macroeconomic monetary theory. In public school I was forced to memorize the names of every country in Africa, yet never was there a discussion of the nature of money. Half the nations of Africa have been renamed since, but the economic principles which cause such political turmoil remain the same. The Federal Reserve System is fraudulent. Whatever its stated purpose, its effective purpose is to create a mechanism of deficit spending by politicians, through the insidious invisible taxation of monetary debasement (aka inflation). With printed money, the Government can buy services for its voters before the effects of inflation are felt. It is then the voters whose money buys less the following year, as the new money has raised prices, and they are none the wiser. Obama is now mandating that The Fed is to have more oversight, more authority and control over the markets of the United States. If we can learn anything from The Fed, it's that the best way to succeed as a politician is to stretch one's failure over a long enough period that people won't remember it.